Here is new information on the development of international and intercultural research on self-help groups. This book reflects the many developments which have occurred in the field over the past decade, emphasizing empirical research. Self-Help and Mutual Aid Groups provides specific research findings and honed concepts to help health professionals learn more about self-help groups and work effectively with such groups. More countries and ethnic groups are now involved in the self-help movement, and this volume increases knowledge of how different cultures react to and participate in self-help mutual aid and how self-help groups can be adapted to fit different racial or ethnic populations. 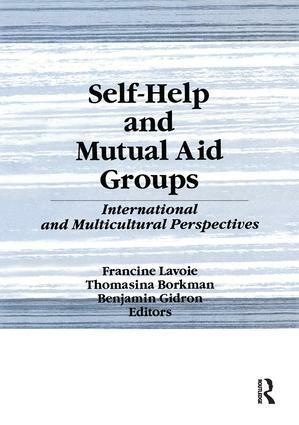 Self-Help and Mutual Aid Groups is an informative and helpful resource for self-help researchers and teachers, students, and professionals who want to be more effective in their work with self-help groups across cultural and national lines.